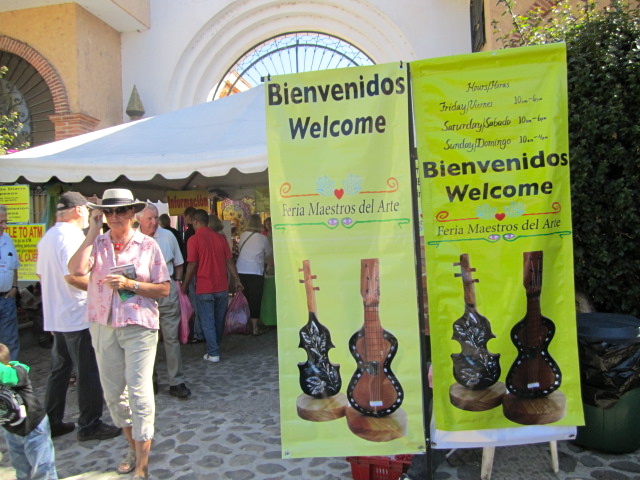 This year the Feria Maestros del Arte was held in West Ajijic at the Plaza de la Ribera, Number 10 Rio Bravo street. The entrance fee was 50 pesos and that was well worth it. It was held for three days; Friday, Saturday and Sunday, November 16th through November 18th. I was only able to go on the last day and I regret that. I missed many interesting events that were also part of the art and craft exhibits. There were musicians and dancers, fashion shows, and instructional lectures. I would have liked to have seen the one on how to make radish carvings or how to use a Molcajete. Or how about free wine and tequila tasting? The event was well attended on all three days. 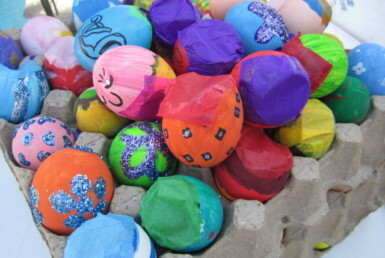 It is a once a year show and people prepare for it all year long. 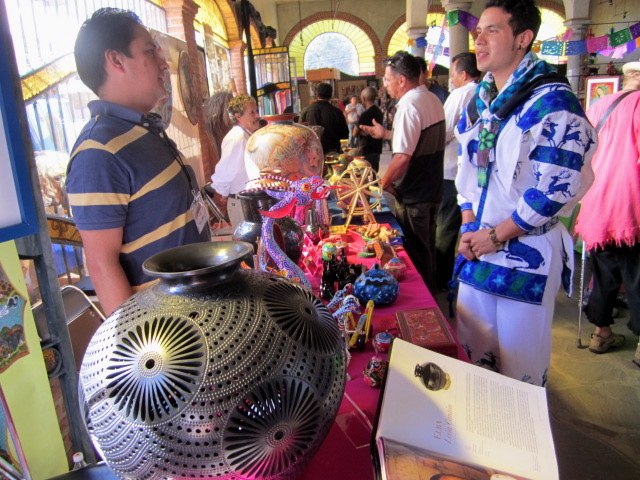 Craftsmen and women come in with their work from all over Mexico. 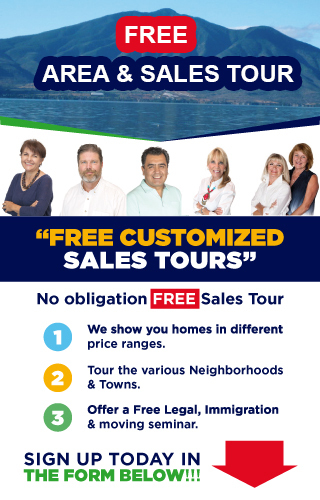 There are no fees for them. This is totally run by volunteers. 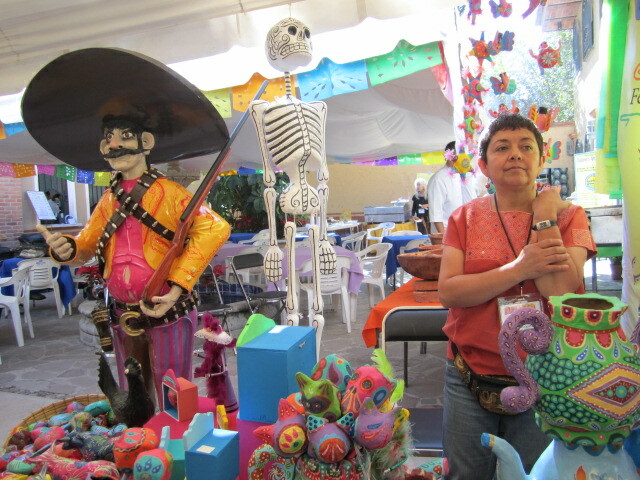 It was started in 2002 by Marianne Carlson after she and her friends took a trip around Mexico, looking for crafts. 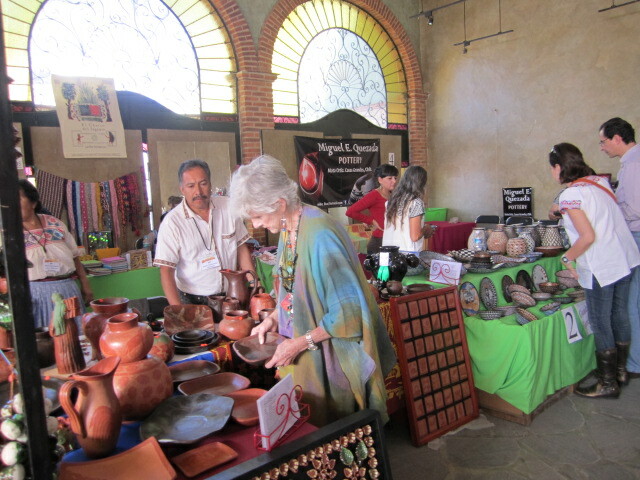 She decided to bring the craft people to Ajijic where they could have more buyers. 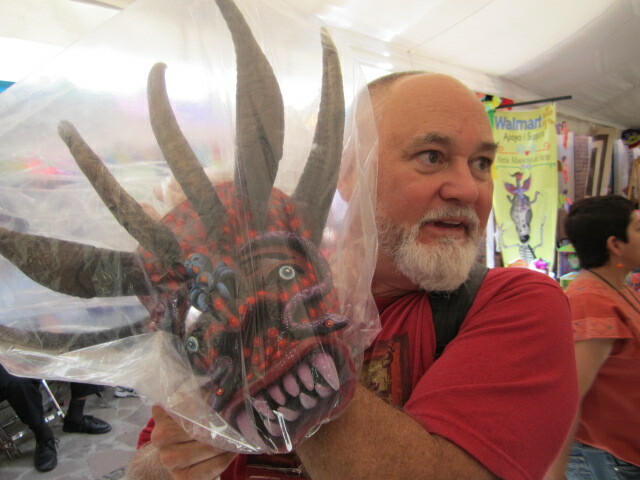 Every vendor donates two of his or her pieces. 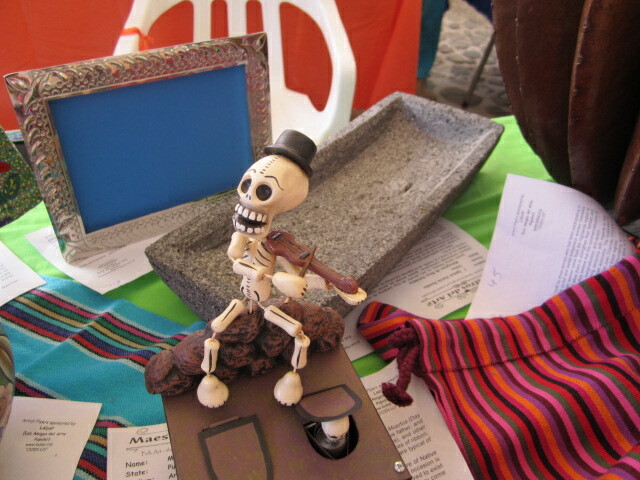 One goes to the Artist’s Choice table and all the proceeds from the sales of these items go to the next year’s Fiera. The other pieces are auctioned off by the Red Cross and all the proceeds go to them. If you buy a ticket for the auction, it is good for all three days. They had wonderful items on these two tables. 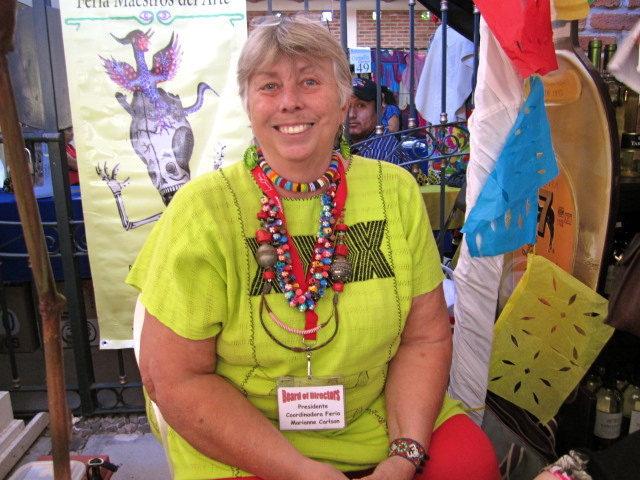 Above is a photo of Marianne Carlson, founder and president of the Feria. She is a warm and loving woman and I felt honored to have met her. She is easily approachable and has done wonders in changing the lives of many artists. 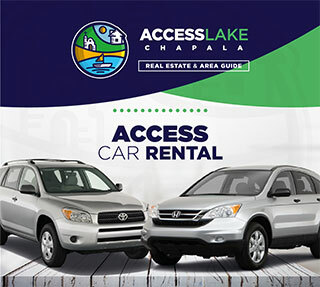 Not only do they have a place to show their work, they are housed with local people for three days and many times they also get their transportation paid for by the organization. 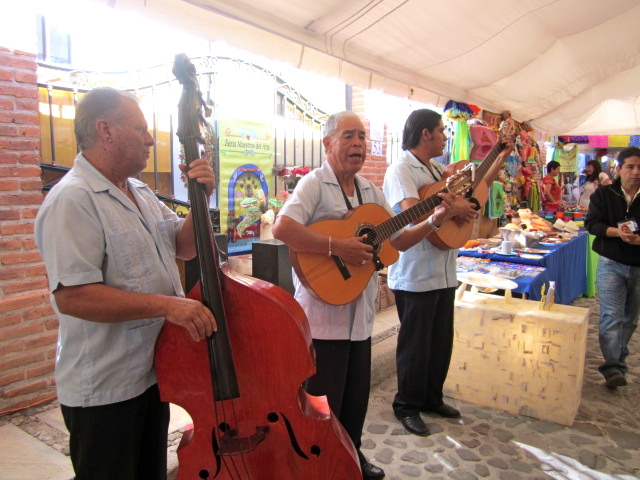 Above is a photo of a group called Trio Ajijic. 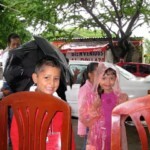 They live in Ajijic and play in local restaurants. 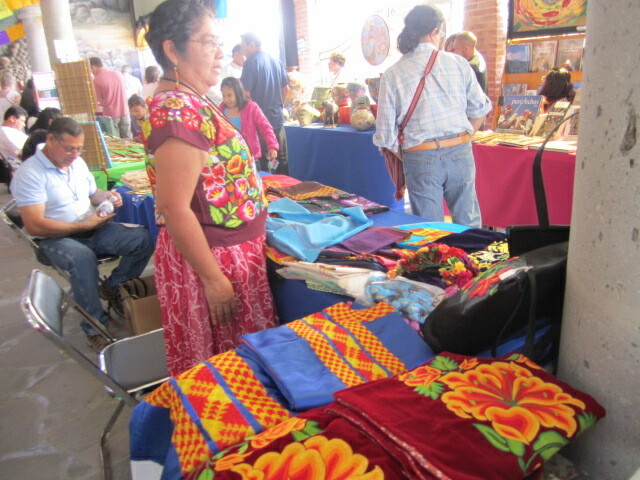 Many of the crafts people wear their indigenous clothing to the Feria. Some of them don’t speak English or Spanish, but their own language. 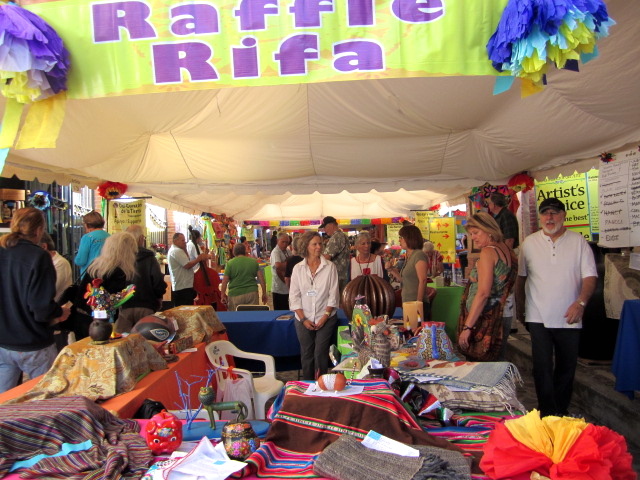 This is a chance for them to meet other craftspeople and also the Expats. 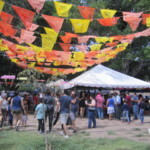 The first year of the Feria, 13 artists attended. 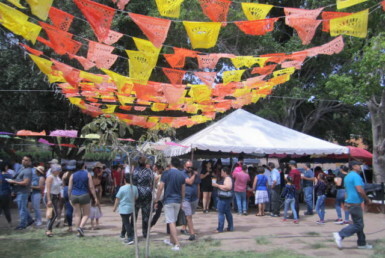 Last year, over 80 artists attended. 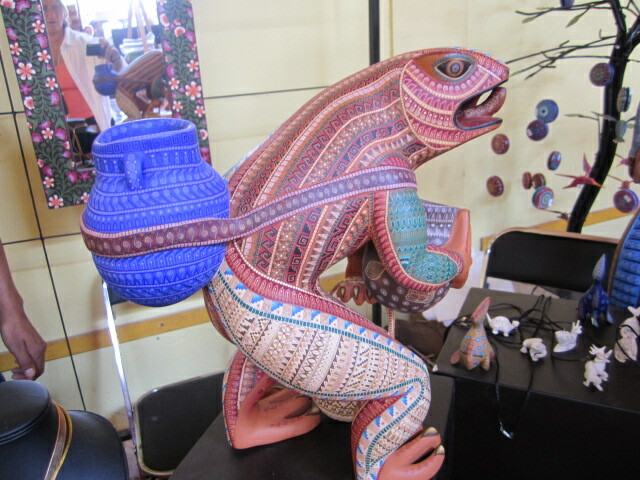 The above work is from Oaxaca. They make beautiful wood sculptures. 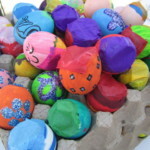 They are painted bright colors and many of them are fantasy creatures. I love their work. 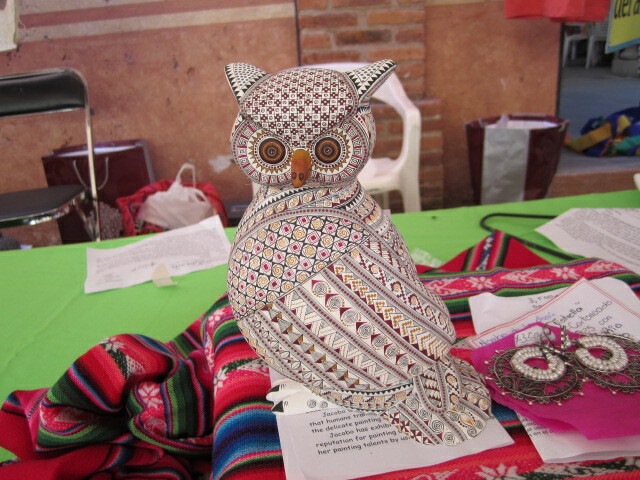 This small owl sculpture looks like it was made in Oaxaca but I didn’t get a chance to find anything out about it. It was on the Artist’s Choice table. There were so many people there and too many other things going on. I guess I should have gone all three days in order to collect more information. Next year I will do that. I missed out on so much by only going for a few hours. 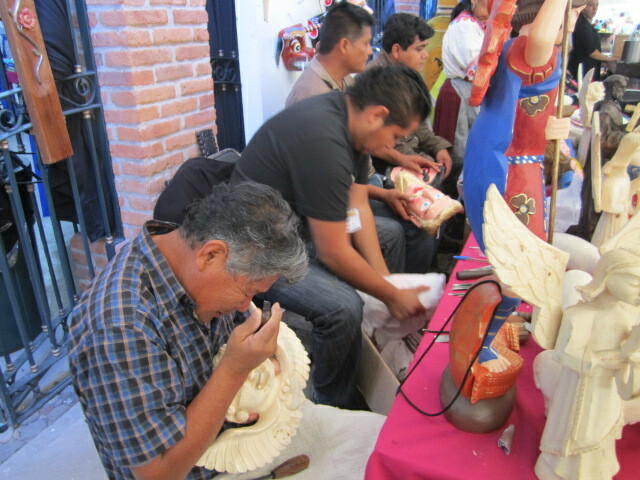 The above men were working on their carvings, even while selling their completed work. This booth was located at the entrance to the food court. 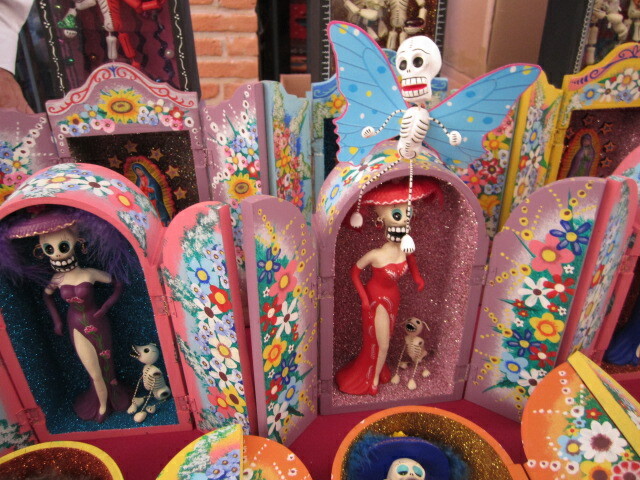 Skeletons were a favorite theme of many of the craft tables, from the life sized skeleton to small skeletons. I liked the one in the above photo. Each skeleton had a personality. Much work went into making them seem alive. There were many boxes filled with skeletons doing everyday things. I like the skeleton dogs. Above is a dance troupe from Ixlahuacan. 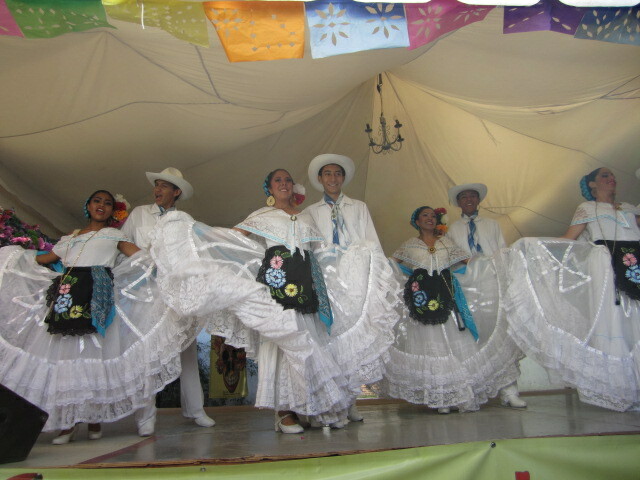 Ballet Folklorico de Ixlahuacan de los Membrillos (regional folklorico dancing). They are an inspiration to watch. Above are three of the dolls that were made by women in prison. 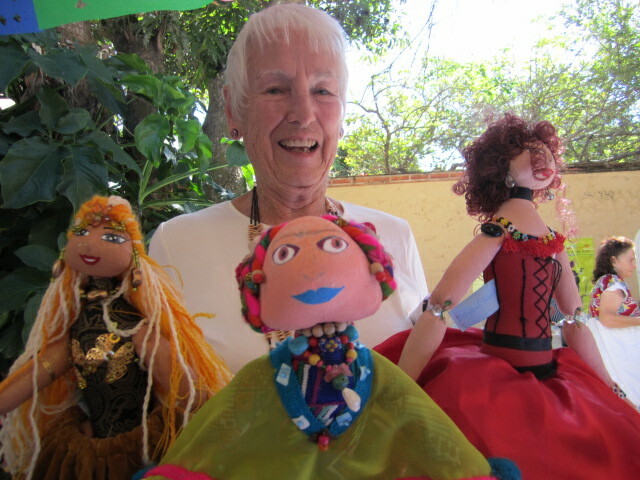 The money made from the sale of these beautiful and one of a kind dolls goes directly back to the women creators. 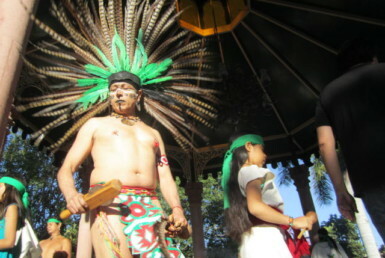 Above is a photo of a Huichol Indian in his regional costume. 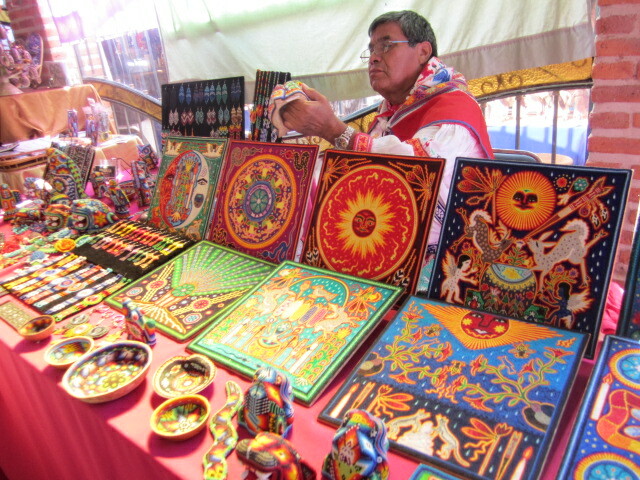 He is selling the yarn paintings and bead work. There were many textile booths. 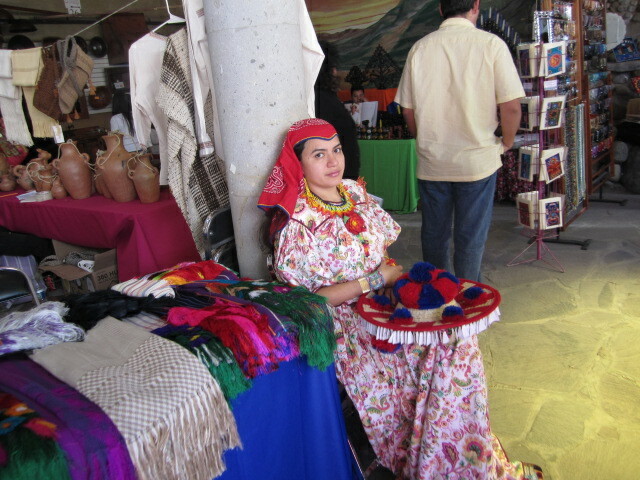 The Huichol woman in the above photo was wearing one of her traditional dresses. There were beautiful embroidery pieces at the show. Check out the lovely embroidered dresses in the photo below. 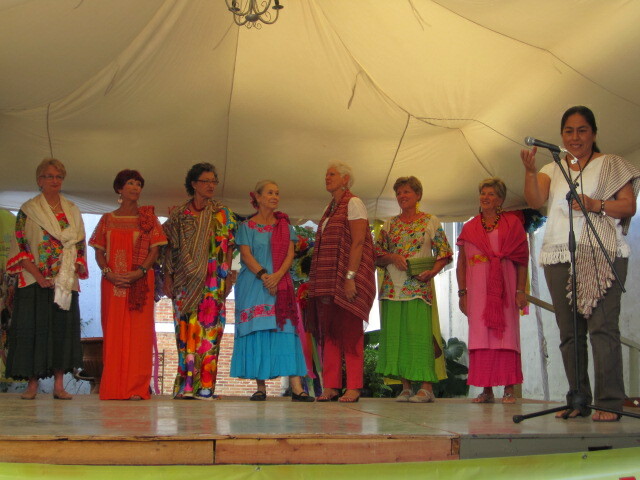 The fashion show was for displaying the handmade rebozos (shawls) and dresses. 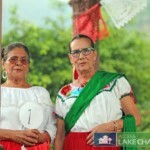 The speaker on the right is a famous rebozo designer. Her family has been making them for many generations. I loved this photo. He looks so protective of his new mask. He said he thought it looked like him. Maybe he meant that it looked like how he felt inside because I didn’t see any resemblance on the outside. Pottery was very popular with the shoppers. Practical but beautiful items that they could use everyday. 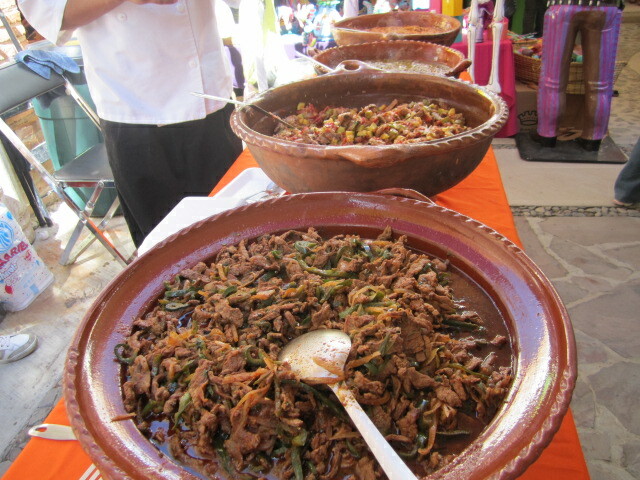 The tacos on the lunch menu were delicious. They also sold hamburgers and cold drinks. All were reasonably priced. It was a fun day for me. I am looking forward to next year’s show. If you would like to be part of the planning or maybe donate money to the cause, contact Marianne at mariannecarlson@gmail.com (376) 765 7485. Also check out the website. 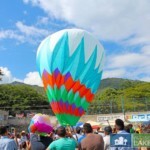 www.mexicoartshow.com There you will find information on every artist that has ever attended Feria Maestros del Arte. Is there going to be one in Nov. 2013?